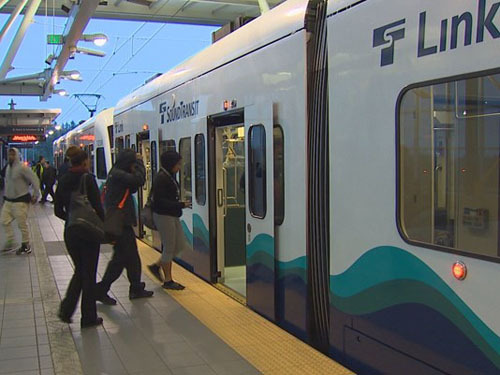 Sound Transit 3 passed in November on the strength of support in Snohomish and King counties. Voters in Pierce County rejected it. To pay for the upgrades, the sales tax is going up half a percent within the district. There’s also a new property tax assessment of 25 cents for each $1,000 of assessed valuation. And car tab fees went from 0.3 percent to 1.1 percent which is adding the equivalent of $80 for every $10,000 vehicle to one’s bill. Sound Transit calculates its motor vehicle excise tax using a state-developed depreciation schedule drawn up in the 1990s in which the car’s value only dips 5 or 6 percent a year. After five years, for example, a car was considered to still be worth 75 percent of its original price. In reality, cars depreciate much more rapidly. Just driving it off the lot can cut the value by 11%; within 5 years, a new car is worth less than half what you paid for it. Brutalizing car owners works perfectly from the point of view of moonbat masterminds, who want us to give up independent modes of transportation so that we will only go where they have planned for us to go. California’s bullet train could cost taxpayers 50% more than estimated — as much as $3.6 billion more. And that’s just for the first 118 miles through the Central Valley, which was supposed to be the easiest part of the route between Los Angeles and San Francisco. A confidential Federal Railroad Administration risk analysis, obtained by The [Los Angeles] Times, projects that building bridges, viaducts, trenches and track from Merced to Shafter, just north of Bakersfield, could cost $9.5 billion to $10 billion, compared with the original budget of $6.4 billion. California better hold off on secession until they persuade federal bureaucrats to cough up more of our cash. All aboard for higher taxes. On a tip from Becky in Washington. Cross-posted at Moonbattery.